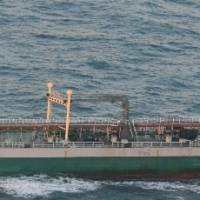 HONG KONG - In the dead of night last month, two tanker ships pulled alongside each other in the East China Sea. One was North Korean; the other was the Belize-flagged Wan Heng 11. 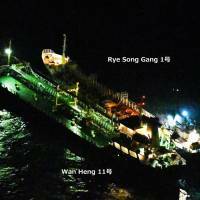 Lights on both ships were blazing, arousing a Japanese spy plane’s suspicion they were carrying out a “ship-to-ship” transfer banned under United Nations sanctions imposed over North Korea’s nuclear weapons program. Records for the Wan Heng and a number of other ships identified in recent U.N. and U.S. sanctions blacklists and in Japanese surveillance reports reveal ties to Hong Kong through front companies based there. The findings underscore rising concern over the southern Chinese financial capital’s role as a nexus for North Korea’s underground business network, which has led the U.S. government to urge Hong Kong authorities to crack down. The corporate registration agents who set up these front companies “present a key vulnerability in the implementation of financial sanctions,” said a March 16 report by the United Nations Panel of Experts on North Korean sanctions. Researchers say North Korea relies on front companies acting as middlemen to mask its overseas trading links, many of which involve China. 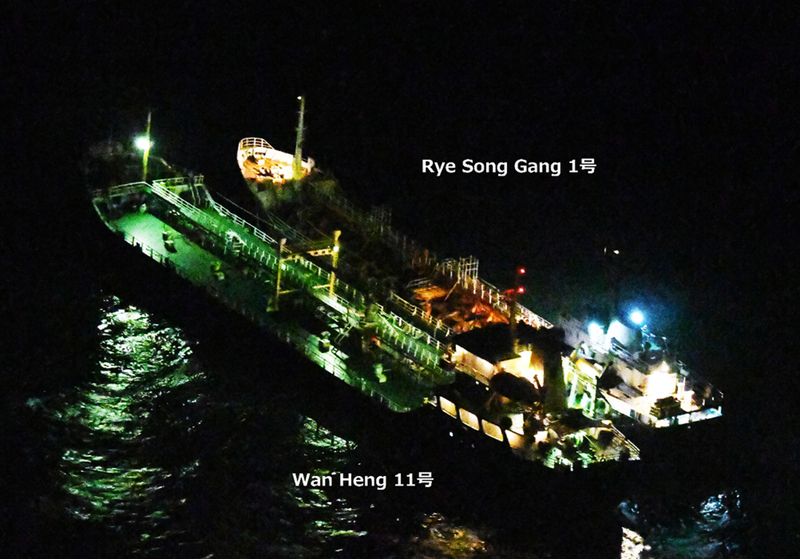 Successively tighter rounds of sanctions aim to deprive North Korea of key sources of revenue by choking off its ability to smuggle exports, including through oil transfers between ships on the high seas. Hong Kong is “staying highly vigilant about activities and suspected cases” of sanctions violations and is “looking into the cases” involving Hong Kong-registered companies, the government said in a statement. The city often tops rankings of business and economic freedom, based on criteria that include the ease of setting up business. That can also facilitate illicit dealings. The city hosts a vast industry of company-formation experts who can register corporations quickly and with minimum information from their clients. Many operate out of anonymous, one-room offices with as few as a single employee. They promise to set up a firm within a day for clients who can apply online if they are not in Hong Kong. Out of 11 companies based outside North Korea named in a U.S. Treasury sanctions list last month, two each were in China and Taiwan and one each in Singapore and Panama. The remaining five were in Hong Kong. The U.N. report said separate investigations of a Singaporean company and Glocom, identified as North Korean military equipment supplier, found evasion tactics included the use of Hong Kong front companies. Hong Kong has imposed new rules aimed at preventing money laundering that took effect this month. They require licensing of corporate registration agents. Companies also must now identify and disclose their beneficial owners, but only to law enforcement authorities. A review of Hong Kong company filings and shipping databases revealed a murky web of company names and employees working out of a variety of unlikely locations. One U.S.-sanctioned company, Liberty Shipping Co., shared an address with its registration firm in Hong Kong’s Wan Chai district. A woman at the office, which had yet another name on the door, said it had ceased doing business with Liberty Shipping and didn’t have contact information. She added that it dealt with the company through an intermediary she wouldn’t name. Liberty Shipping’s annual return showed that its director lived in Dalian, in China’s northeast, but didn’t provide a phone number. In the Wan Heng’s case, shipping databases give the rusty tanker’s registered owner and commercial manager as Zhejiang Wanheng Shipping Co., with a care-of address for an apparently related company, Hong Kong Wanheng International Trading Ltd., at an apartment in The Beaumont, a suburban luxury apartment development. Corporate registration records gave a second office address in Hong Kong’s North Point neighborhood. A woman who answered the office door, which didn’t have a sign, said Wanheng’s director, Yip Kwok-man, was not in. “He just uses the office as a nameplate. It’s not convenient to give you any more information,” she said, adding that she and three other women in the office weren’t his staff. A woman listed as Wanheng’s company secretary said she was recruited by a friend. But she said she doesn’t work for the company anymore because it was too much hassle, without being more specific. Yip’s home address in Wanheng’s annual return turned out to be a modest one-bedroom unit in an aging public housing complex in the city’s Tsing Yi suburb. No one was home on a recent visit and a neighbor said the resident there had a different surname. A further search of records found a second address for Yip in an upscale waterfront apartment block in the Sai Wan Ho district. A man who answered the intercom didn’t respond when asked in both Mandarin and Cantonese whether Yip Kwok-man was there.